Hey guys! 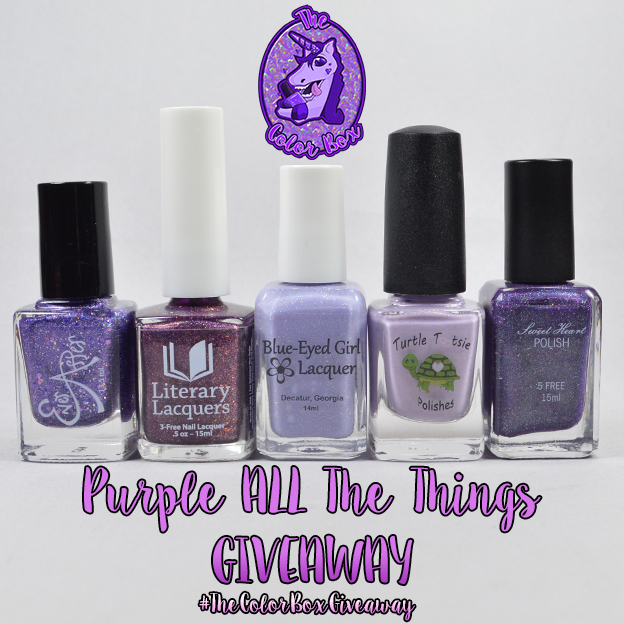 It's GIVEAWAY TIME! ERMAHGERD! Interested in the purple box? Not in your budget for April? Enter for your chance to win! Purple ALL The Things Box. 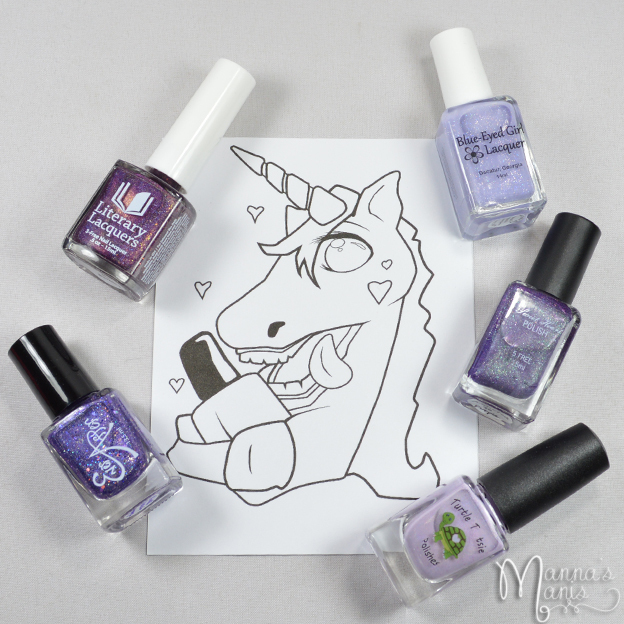 Includes 5 polishes and 1 coloring page.